Bollywood actor Akshay Kumar is coming with an inspiring war movie, Kesari. Based on real events, Kesari narrates the heroic battle of Saragarhi in 1897. It chronicles the valiant battle fought by 21 Sikh soldiers against an army of 10,000 Afghans. Akshay has shared first glimpses from the movie ahead of its trailer release on February 21. 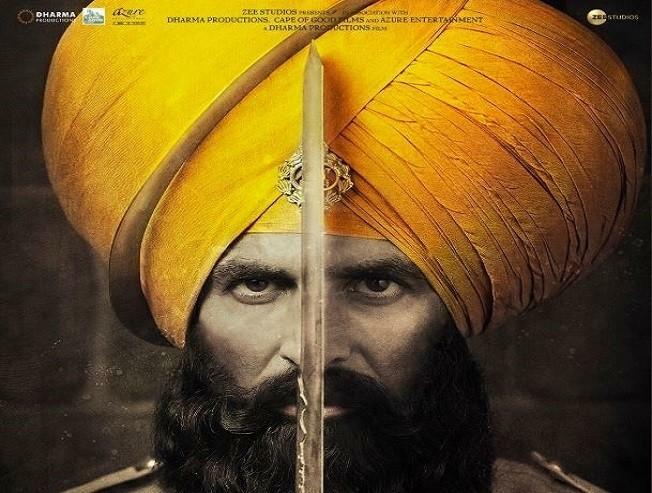 The teaser gives an insight into Akshay’s character Ishar Singh. Holding a chakra and emerging from fire, he is seen confronting a group of Afghans, who have stormed inside the fort. “Unraveling the pages of history to the bravest battle ever fought…Aaj meri pagdi bhi Kesari, jo bahega mera woh lahoo bhi Kesari, aur mera jawaab bhi Kesari,’’ posted the actor on his Twitter handle. Parineeti Chopra plays the female lead in the war flick directed by Anurag Singh. Kesari will be released on March 21.